The Mimblewimble blockchain protocol has been receiving significant attention recently following the launch of its first two full implementations — Grin and BEAM. We already have an overview of Grin and Mimblewimble available, so it is prudent also to evaluate BEAM and identify how it differentiates from its cousin Mimblewimble crypto — Grin. Both Grin and BEAM are open-source protocols, which launched their mainnets over the last several weeks, with BEAM going live at the beginning of January. Significant hype has followed the Mimblewimble protocol since its anonymous proposal by Tom Elvis Jedusor in 2016, specifically due to the privacy and efficiency enhancements that are inherent with the unique transaction construction model it uses. Although similar, BEAM differs from Grin in several important ways, including its monetary policy, mining, community, and overall governance. 3 Grin vs Beam – What are the Differences? Mimblewimble is a stripped down version of Bitcoin’s protocol designed to change the method for constructing transactions, leading to improved efficiency and privacy in the network. The collateral effect of enhanced privacy is fungibility — a property of a currency that does not distinguish one unit of value between another, as they are all equal. Mimblewimble uses a combination of Confidential Transactions (CTs) and Pedersen Commitments to allow the receiver of a transaction to generate a ‘blinding factor’ as the signing key for a transaction. Like other privacy-focused transaction methods, CTs are more cumbersome than standard cryptographic transactions in Bitcoin because of the proofs that need to be added to each transaction. However, Mimblewimble was designed to sidestep the cumbersome nature of CTs by stripping them of their scripting behavior, and in combination with the blinding factors and ‘dummy outputs,’ the protocol can achieve the same level of security and privacy of CTs without the performance issues. Additionally, Mimblewimble uses a transaction aggregation method similar to CoinJoin that removes the need for storing much of the past transaction data in the blockchain. Transactions within a block in Mimblewimble instead look like a random mix of inputs and outputs, rather than a block iterating a list of correlating inputs and outputs. Nodes can subsequently sync with the blockchain much faster because they rely only on verifying the authenticity of specific inputs rather than the entire blockchain using the native ‘cut-through’ feature of Mimblewimble. The result is a blockchain protocol that confers better privacy and scalability deriving directly from its method for constructing transactions. The blockchain grows at a significantly reduced pace, enabling the more practical operation of full nodes, which has a positive long-term impact on the decentralization of the network. BEAM launched in early January and was the first full Mimblewimble implementation to go live, followed by Grin a couple of weeks later. The protocol for BEAM is written in C++ and expands on the original proposition of Mimblewimble with some additional features. Currently, a GUI wallet for users is available on MacOS, Windows, and Linux. Development on BEAM was started later than Grin, beginning in March 2018, and has taken a more structured company approach — akin to ZCash — than Grin, which is largely driven by community-funded donations and a core team of developers who have been working with Mimblewimble since its original proposal. BEAM’s focus is on providing a private store of value, tailored towards a user-friendly approach and a startup mindset. 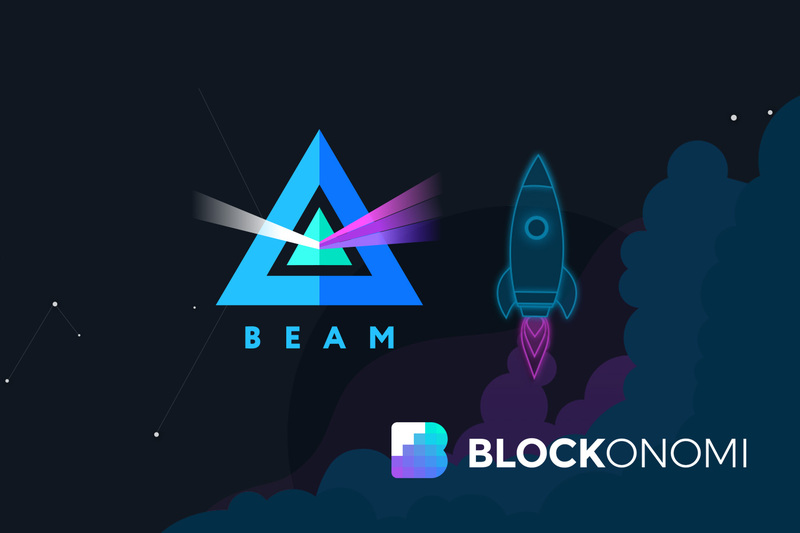 BEAM has several features — both under development and working now — that expand on the original Mimblewimble design, including the use of transaction signing via the Schnorr protocol, opt-in auditability, Bright Boson (a working development for atomic swap support with Bitcoin), offline transactions, and hardware wallet integration as part of Bright Boson. BEAM also emphasizes catering to businesses and separating the platform’s development into two avenues: BEAM Core and BEAM Compliance. BEAM Core focuses on the technical innovation of the network’s design while BEAM Compliance targets the opt-in compliance and auditability aspects of the network. BEAM Compliance is the segment of the project that caters directly to businesses looking for auditability for regulators or auditors while still retaining privacy as an optional feature. The technical similarities between BEAM and Grin are apparent, as they are both Mimblewimble-based protocols, so evaluating the other areas in how they differ is the best means for distinguishing the two projects. Grin vs Beam – What are the Differences? One of the primary differences between BEAM and Grin is their inception and general community/governance approach. BEAM’s governance and development model is a more company-like structured design, similar to ZCash, while Grin draws inspiration more from the Monero model of open-source community members independently working on the project through donations. BEAM’s monetary policy explicitly emphasizes a private store of value rather than a ‘P2P digital cash.’ BEAM’s supply is capped at roughly 263 million BEAM tokens and uses a deflationary emission schedule based on the halving of block rewards over time, similar to Bitcoin. The block reward for the first year is 80 BEAM coins per block and will halve approximately every 4 years until the 133rd year when emission stops. 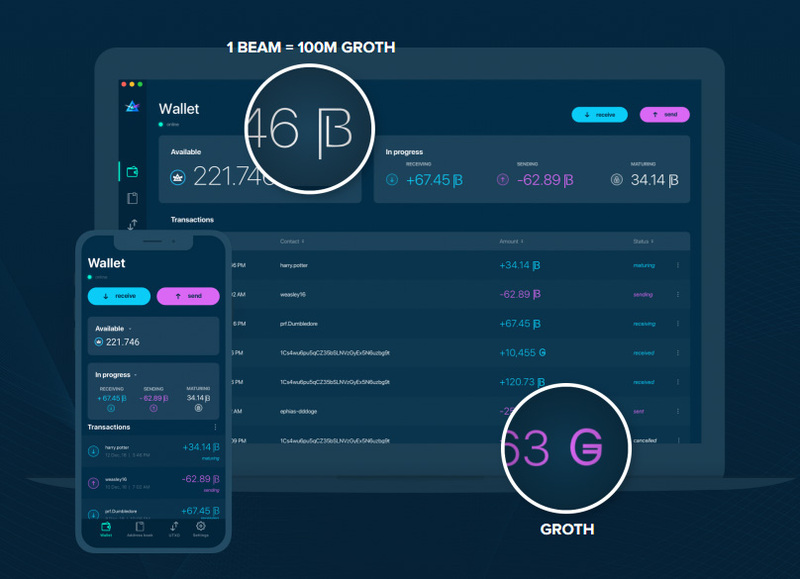 Importantly, BEAM issues rewards on a per block basis to the BEAM Treasury that are paid out on a monthly basis to the BEAM Foundation including investors, developers, and advisors. This model is similar to ZCash’s Founder’s Reward and is used for funding the ongoing company-based approach of the cryptocurrency. The reward issued to the treasury is 20 coins per block for the first year and decreases to 10 coins per block throughout the next 4 years. Conversely, Grin is designed as an anonymous currency with an uncapped supply and linear inflation supply schedule designed to maintain a relatively stable price. Rather than a store of value, Grin is predicated more on its use as a fungible and private currency for transactions. A new Grin coin is minted every second, equating to 60 per each 1-minute block, and the overall dilution of the inflation decreases over the years, eventually approaching zero although never actually reaching zero. The implications of Grin’s monetary policy are intriguing and is a unique perspective in the broader cryptocurrency sector. Grin does not have a treasury, founder’s reward, or company behind it, and instead, relies on donations and voluntary participation through an open-source structure. BEAM’s governance and early VC funding resemble a startup approach where full-time developers and contributors are hired in a traditional company setting. The BEAM Foundation currently oversees the project — a non-profit to be set up in Switzerland that will guide the development of the network. BEAM continually emphasizes usability — particularly with businesses — through its opt-in auditability features which allow businesses to provide financial trails of transactions for auditors/regulators if necessary. Part of its broader BEAM Compliance initiative, the BEAM compliance suite is targeting integrated third-party services and complying with regulations in specific countries. BEAM sought investment from VC firms and is actively seeking development partners as well as the establishment of the BEAM Sovereign Money Foundation this year. Grin draws more from cypherpunk roots and is focused on a clean and minimal Mimblemwimble implementation with some more experimental components part of its design. The project is entirely community-driven, relying on financial contributions from donors and voluntary development work. The Grin Github repo lists numerous resources for contributing as well as a list of community projects currently ongoing. Grin and Mimblewimble both consistently reference Harry Potter, and many of its lead developers use pseudonyms from the fantasy series. Both Grin and BEAM use optimized versions of the Equihash PoW mining algorithm, Cuckoo Cycle and Equihash, respectively. 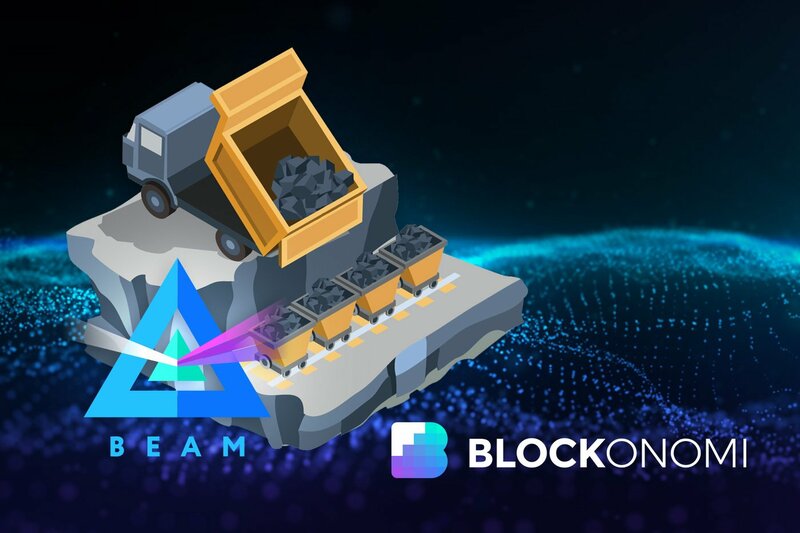 BEAM targets early decentralization of the network by becoming ASIC-resistant over the first 12-18 months, allowing BEAM to be mined on GPUs. The development team will hard fork the protocol several times to adjust the mining algorithm over the next several years, eventually allowing for ASIC mining. The idea is to give GPU miners a head start over ASICs. Grin employs a dual-structure mining algorithm with Equihash and Cuckoo Cycle that will enable users to mine the cryptocurrency using GPUs initially, while also allowing for ASIC mining later. Cuckoo is a memory-bound algorithm and will become the primary mining algorithm after two years, enabling the growth of the ASIC mining market once the network’s decentralization matures. BEAM cites several of the more experimental initiatives of Grin as one of the differentiating features between the two cryptocurrencies. Despite both being Mimblewimble implementations, Grin and BEAM focus on slightly different technical directions, although they do collaborate between each other. BEAM is written in C++ while Grin is written in Rust. Grin emphasizes a minimal implementation of Mimblewimble. Grin currently only has a CLI wallet. BEAM has a GUI + CLI wallet. Privacy is default and non-optional in Grin. BEAM enables opt-in auditability. Grin takes a more experimental approach in technical developments than BEAM. BEAM enables non-interactive offline transactions via secure BBS system. Grin uses plain text such as email. Agile Atom — An API documentation and ecosystem. Bright Boson — Includes atomic swaps with Bitcoin, hardware wallet integration, Android mobile wallet, lightning network PoC, integration with BTCPay Server. Clear Cathode — Mining algorithm hard fork, iOS mobile wallet, web wallet with multisig support, lightning Alpha. Double Doppler — Alternative consensus research, porting BEAM, enhanced wallet security, lightning Beta. Eager Electron — I2P/Tor Integration, BLS signatures, lightning mainnet. Of note, BEAM experienced a critical vulnerability in its core wallet following its launch, but has now fixed the bug and provided instructions for users to remove their exposure to the vulnerability. Grin is continually undergoing suggested upgrades and improvements in a more ‘rough consensus’ style, which more can be found on in its community forum and Github repo. Notably, both Grin and BEAM already employ Dandelion++ as a network-layer privacy enhancement, which is pegged for inclusion into Bitcoin this year as well. One of the challenges that both Grin and BEAM will face is adequately reaching a level of network decentralization while incentivizing miners to contribute more hash power to the network, securing the chains. 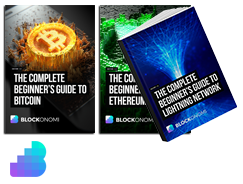 Both projects are mitigating ASIC functionality in their early stages, and bootstrapping a PoW-based cryptocurrency is an arduous task. Gathering support of GPU miners in the first couple of years is crucial to decentralization before the ASIC market matures, but both projects need to effectively aggregate sufficient hash power to deter possibilities of malicious chain reorganizations attempts too. Launches of new protocols also come with inherent criticisms of what constitutes a ‘fair launch.’ The topic is polarizing and can be subjectively interpreted, but Hasu and Arjun Balaji present some excellent analysis on the fair distribution of a launch and how Grin has come about as close as possible to a fair model in today’s market. Grin and BEAM are the first two full Mimblewimble implementations and bring with them some substantial advantages in privacy and efficiency. The future development of the projects will provide some unique innovation in the broader cryptocurrency narrative toward’s better privacy. Although drawing from the same blockchain protocol, BEAM and Grin have some distinct differences. As they continue to progress, their preferred applications and audiences should emerge.